Tesla has 99 problems, but sales ain't one. Tesla has announced that to right the ship it will reorganize its sales department. Tesla has 99 problems, but sales ain't one. Starting with cash burn. Tesla recently had its quarterly chat with investors and revealed that it had set a new record for losses in a quarter. Tesla lost about three-quarters of a billion dollars last quarter. Yes BILLION. Sales are not Teslas biggest problem. Deliveries sure are. Tesla's Model 3 delivery rate has now been stalled for two months at a level that the automaker said it would surpass late last summer. Elon Musk told investors and fans (not necessarily in that order) that he himself would take the reins and manage the Model 3's production, even going so far as to say he was "sleeping on the floor of the Gigafactory." That may have sounded good to some (if you like the idea of a guy with zero manufacturing experience in control of a high-tech automobile line), but it looks to our eyes like it was all just smoke and mirrors. Musk has been tweeting his true interests and locations and the Model 3 isn't much of a focus. 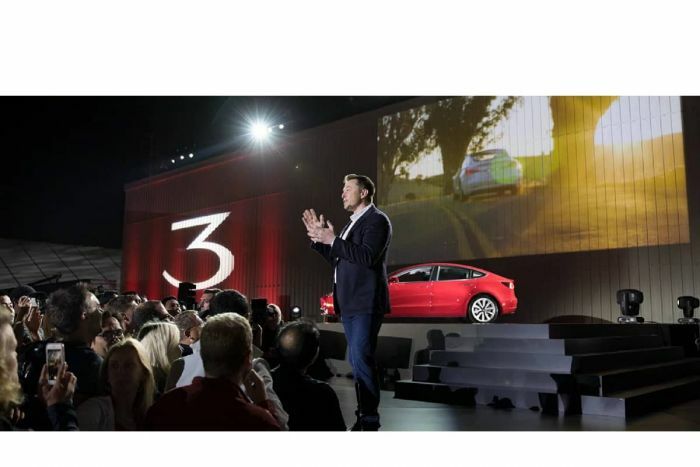 Musk plans to shuffle Tesla's global sales executives he now has in place. This reorganization does not require Musk to fire his global sales manager. He already quit and went to Lytf to be the COO. The company will also have a flatter (and less expensive) executive structure. Like every savvy businessperson, Musk announced the "trimming" by somehow linking hiring to the move. Other top Tesla executives are already gone. Matthew Schwall, the executive at Tesla that had worked on NTSB investigations of the many recent Autopilot crashes left to go work at Waymo, which has more than enough autonomous driving crashes of its own to keep Schwall busy. Back in September, Tesla's VP of business development and one of the longest-serving Tesla team members left Tesla. He was preceded by Tesla's Kurt Kelty, director of battery technology, CFO Jason Wheeler, and Chris Lattner, Tesla's vice president of Autopilot software. It looks like this week's announcement that Tesla will have a flatter management structure was already happening well before Musk mentioned it publically. Author Note: The Author has never owned Tesla stock (or had any stock shorts etc) and does not own any mutual funds at this time that hold Tesla stock.